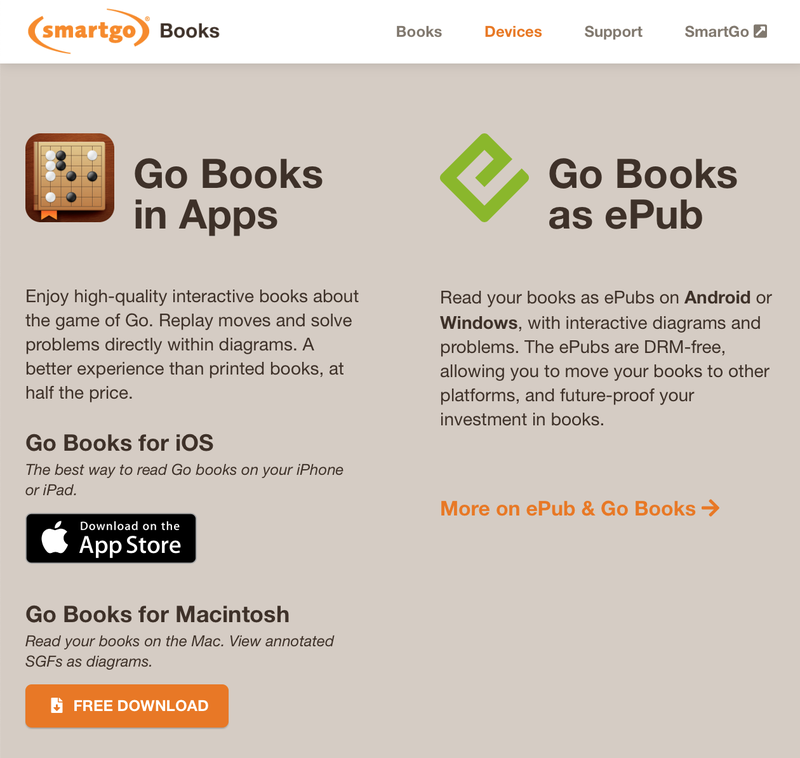 Reading interactive go books used to be limited to iPad, iPhone, and Mac. 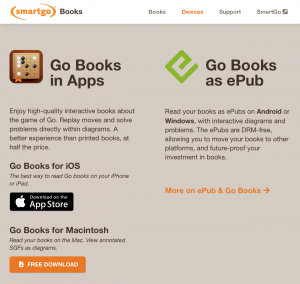 “Not any more,” says SmartGo publisher Anders Kierulf. “Most of the 134 books at gobooks.com are now available as ePub, so you can also read them on Android and Windows.” Diagrams and problems in the ePubs are interactive. “The DRM-free ePubs let you read your books on different devices, and future-proof your investment in books.” Click here for more information. 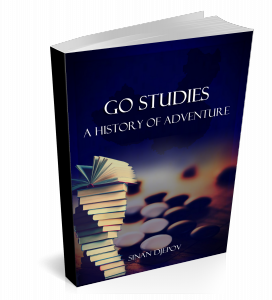 Go Books now contains 134 books about go, and includes new books by Richard Bozulich on “Attacking and Defending Weak Groups” as well as “Sabaki – The Art of Settling Stones”. The GoGoD game collection now contains over 102,000 pro games, and is part of SmartGo Kifu, SmartGo for Windows, and SmartGo for Macintosh. To stay up-to-date, follow @smartgo on Twitter or SmartGo on Facebook. Deep Learning and the Game of Go by Max Pumperla and Kevin Ferguson, teaches all the aspects of deep learning that went into Alpha Go. It is complete with code in Python3, with all code based upon building a go-playing program starting with code for the board structures/objects. It does not teach Python and does not assume you know anything about learning algorithms. I am only in the 4th chapter and so far I find the text very readable and the explanations clear. By the end of the book you can have a complete Go bot for playing or experimenting. One very nice thing that Manning does is that all the code is available for downloading, and buying the paper book allows you to signup for electronic versions in a variety of formats, so you can copy/paste the examples if you don’t want to type them and you can search the text electronically rather than paging through the book. About the only thing not covered in the book is parallelization for multiple GPU/CPUs. 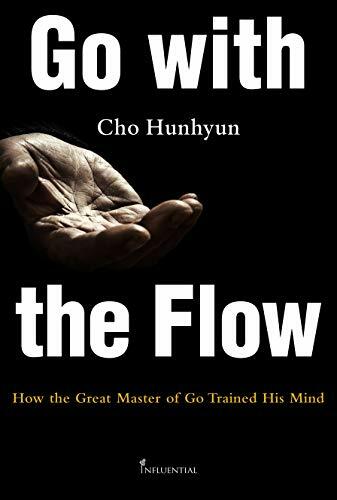 “I don’t know anything else but Go…However, it doesn’t mean I don’t know about life.” Thus begins “Go with the Flow: How the Great Master of Go Trained His Mind,” the memoirs of Cho Hunhyun, one of the greatest go masters in history, now published in English and available on Amazon. A Korean professional since the age of nine, Cho has won 1,935 matches and amassed 150 professional titles, more than any player in the world. He’s held all of the open tournaments in Korea three times, in 1980, 1982 and 1986, and has won 11 international titles, third most in the world behind Lee Chang-ho (21) and Lee Sedol (15). 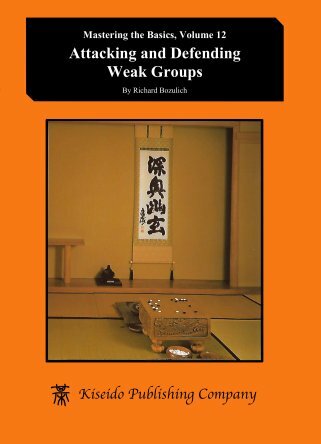 “Attacking and Defending Weak Groups,” a new book by Richard Bozulich, is now available both as paperback and in digital form in the Go Books app. 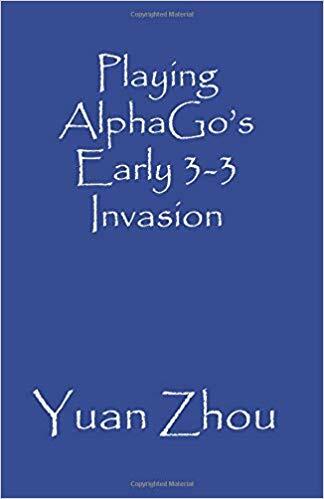 Weak groups are a crucial factor in the middle game of go, and this book covers all the techniques of attacking and defending weak groups. 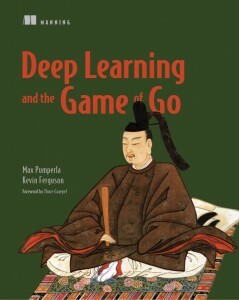 Each of the first nine chapters starts with a few examples of the technique under study, then continues with a few problems showing how that particular technique was used in a professional game. 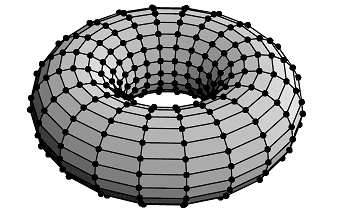 The tenth chapter presents additional problems whose solutions draw upon the techniques studied in the preceding nine chapters. 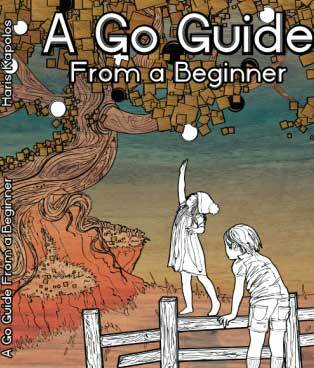 The book is available in paperback from Kiseido and in digital form in the Go Books app for iPad, iPhone, and Mac. Regardless of which version you get, you can download the professional games used for the problems here. 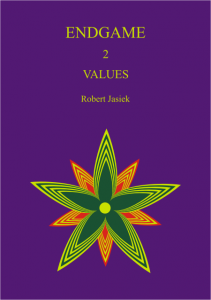 Robert Jasiek’s new book “Endgame 2 – Values” is now available. 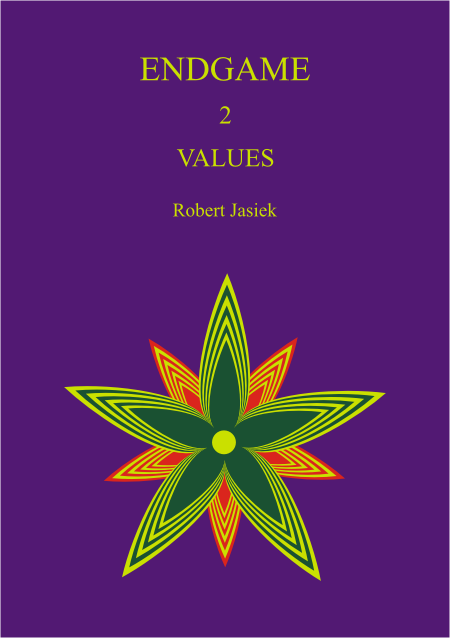 The result of two years of work and research, Jasiek says the book “teaches every relevant, basic aspect of endgame evaluation systematically, clearly and in detail.” It explains modern and traditional endgame theories, the microendgame, and the impact of scoring. “We evaluate positions, follow-up positions and moves so that all their values are consistent and related,” says Jasiek. “The theory is well applicable to every endgame position and move, approximates absolute truth and is supported by many examples.” The 260-page book is available in both printed (EUR 26.50) and PDF (EUR 13.25) formats. Click here for a sample and here to purchase.